Let's kick off this week with a look back at the KQV Chart from 1967 that places our buddy Davie Allan and the Arrows on top with their biker anthem "Blues' Theme". It is followed by some great Summer of Love classics like the two-sided hit "Pleasant Valley Sunday" / "Words" by The Monkees, "All You Need Is Love" by The Beatles, "Light My Fire" by The Doors and "White Rabbit" by The Jefferson Airplane. A couple of records make HUGE leaps on the countdown this week ... "Heroes And Villains" by The Beach Boys jumps from #25 to #8 and "Fakin' It" by Simon and Garfunkel is up 20 points from #36 to #16. Neil Diamond also jumps 20 points (from #39 to #19) with his latest, "I Thank The Lord For The Night Time". The top debut of the week belongs to Bobbie Gentry with her monster hit "Ode To Billie Joe" ... and the music of The Four Seasons is well represented on this chart with "Can't Take My Eyes Off You" (the Frankie Valli solo hit) at #14, "C'mon Marianne" (the group's latest) at #24 and an excellent cover by The Tremeloes ("Silence Is Golden") at #18. Here's a vintage chart from 1959 featuring some of the biggest names in early rock and roll ... Paul Anka, Freddy "Boom Boom" Cannon, Frankie Avalon, Bobby Darin, Lloyd Price, Connie Francis, Dion and the Belmonts, Ricky Nelson, Duane Eddy, Fats Domino, The Drifters and Elvis Presely are all here ... as are "novelty" acts like The Chipmunks, The Coasters, Edd "Kookie" Byrnes and Fabian. Right behind them are Dino, Desi and Billy with their first chart hit "I'm A Fool", a considerably better showing than it did on the Billboard Chart. There's also a long-lost Kinks track at #18 ... and TV Star Patty Duke closes out the chart at #30 this week with her hit "Don't Just Stand There." 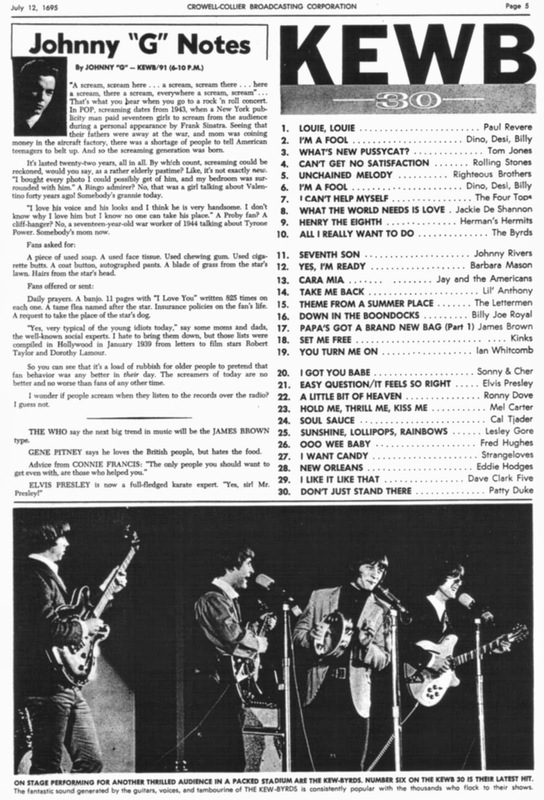 And check out the photo of The Byrds at the bottom of the survey. You'll find their latest hit at #10 on this week's chart. Jumping ahead to 1969, we find Break-In King Dickie Goodman in The Top Ten with his latest, "On Campus". (It sits at #6, placing right between hits by The Beatles and Stevie Wonder and Blood, Sweat and Tears and Neil Diamond. And while The Beatles (actually just John and Paul on this one) sit at #4 with "The Ballad Of John And Yoko", John and Yoko (along with their Plastic Ono Band) have the top Power Pix this week with their first single "Give Peace A Chance". 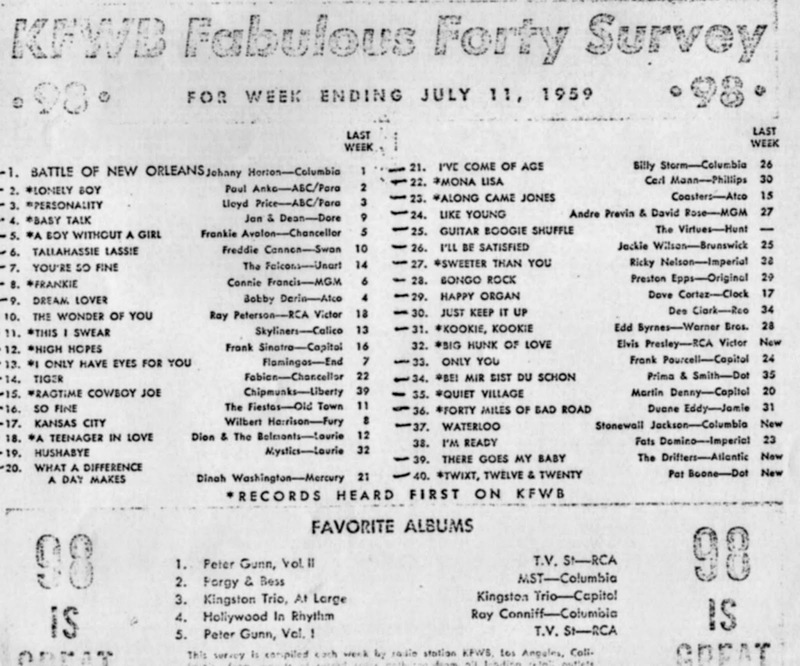 Since novelty hits seem to be the Soup de Jour today in our Saturday Surveys feature, take a look at this WFUN Chart from 1966. Napoleon XIV is at #4 this week, jumping from #31 the week before with "They're Coming To Take Me Away, Ha-Haa!" This Boss Survey also features some artists you don't typically see in The Top 40 ... like The 13th Floor Elevators, Captain Beefheart and The Alan Price Set. 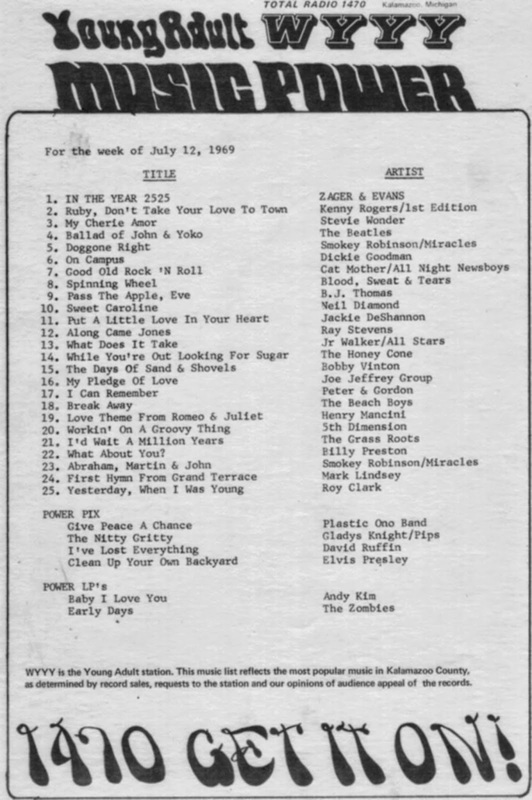 Look closely and you'll see some pretty unfamiliar titles listed by some of the most popular artists of the day like The Turtles, Bobby Vee and Peter and Gordon. And how about The Cowsills charting a full year earlier than their national break-through with "Most Of All"! Speaking of The Ides Of March, they're back on this 1970 Chart, too, with "Superman", the follow up to their biggest hit "Vehicle." But you'll also find "A Little Bit Of Soap" by Paul Davis, "The Witch' by The Rattles, "Marrying Maiden" by It's A Beautiful Day and "Groovin' With Mr. Bloe" by Cool Heat ranking pretty high on this list, too. Another personal favorite (and long-forgotten hit) belongs to The Fifth Dimension ... they're at #14 this week with "Save The Country". American Pop Favorites THE BEACH BOYS and THE FOUR SEASONS reclaimed their spot at the top of the charts for a four week stretch … two weeks each for I GET AROUND and RAG DOLL, still two of the biggest hits of the '60's. British Invasion artists had to settle for positions #4 and #5 this week for DON'T LET THE SUN CATCH YOU CRYING by GERRY AND THE PACEMAKERS and CAN'T YOU SEE THAT SHE'S MINE by THE DAVE CLARK FIVE. Also holding on to a Top Ten spot was A WORLD WITHOUT LOVE by PETER AND GORDON, down to #8 this week … and just outside the Top Ten you'll find BAD TO ME by BILLY J. KRAMER AND THE DAKOTAS sitting at #11. 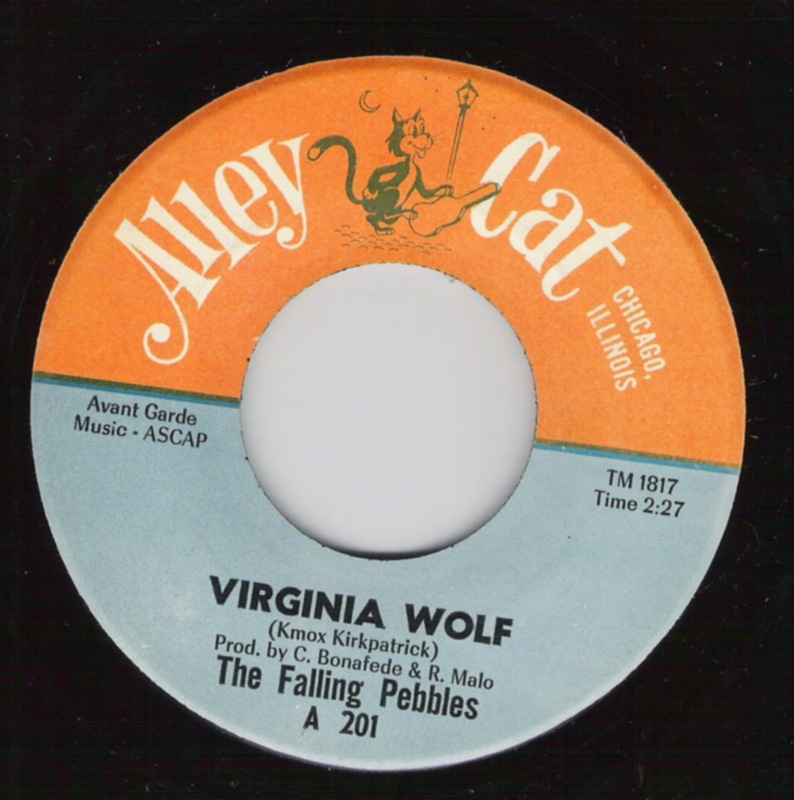 Here in Chicago on the WLS Silver Dollar Survey, CAN'T YOU SEE THAT SHE'S MINE by THE DAVE CLARK FIVE moves up to #2 this week, followed by BILLY J. KRAMER AND THE DAKOTAS' LITTLE CHILDREN at #4, A WORLD WITHOUT LOVE by PETER AND GORDON at #7 and DON'T LET THE SUN CATCH YOU CRYING by GERRY AND THE PACEMAKERS at #8. 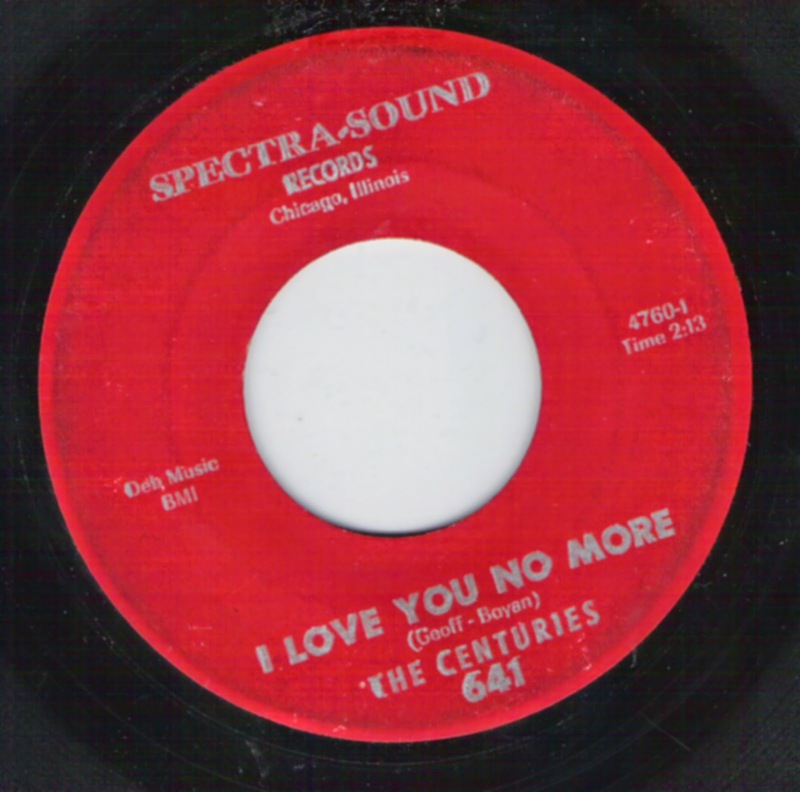 The Top 20 adds DON'T THROW YOUR LOVE AWAY by THE SEARCHERS and NOBODY I KNOW by PETER AND GORDON to the list, at positions #17 and #20. 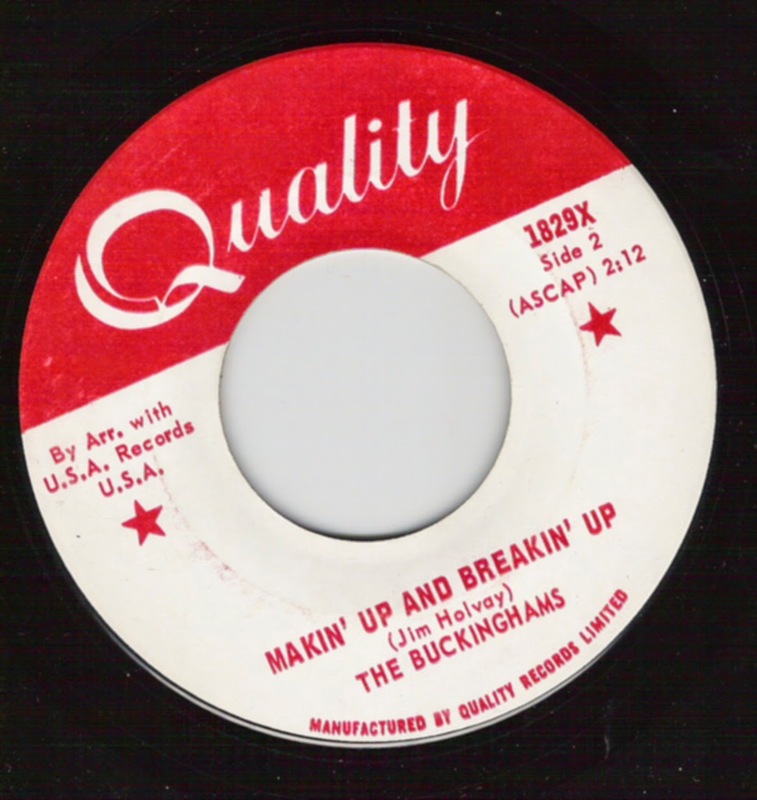 Rounding out The Top 40 are WISHIN' AND HOPIN' by DUSTY SPRINGFIELD at #25, I BELIEVE by THE BACHELORS at #29 and, brand new on the charts, the latest two-sided hit by THE BEATLES, A HARD DAY'S NIGHT / I SHOULD HAVE KNOWN BETTER, premiering at #30 … a week before it would debut on The Billboard Chart. One of the Featured Albums this week on WLS: "Don't Let The Sun Catch You Crying" by Gerry and the Pacemakers. This Saturday, July 12th, marks the 35th Anniversary of the debacle forever to be known as "Disco Demolition Night" at Comiskey Park. I hadn't really planned on doing anything special this year (we saluted the 25th Year Anniversary of this travesty ... yet historic event) and I figured there wasn't much need to rehash it all again. Personally, I remember watching the whole thing unfold on tv. Typically, the cameras didn't stay focused on the "half-time entertainment" going on at the ballpark during the time between two games of a double header ... this "down time" was usually reserved for an interview or two and an update of the other scores from around the league and not centered upon what may be happening on the field ... but on this particular night there was absolutely NO way to ignore what was going on down below the broadcast booth. I asked Chet Coppock (who was there that night as both a fan and a journalist) and sometime Forgotten Hits contributor Mark Baker (who was also there that night, caught up in the chaos ... at his very first Sox game!) if they would each write something about their memories of that nothing-short-of-crazy evening ... and they both agreed. 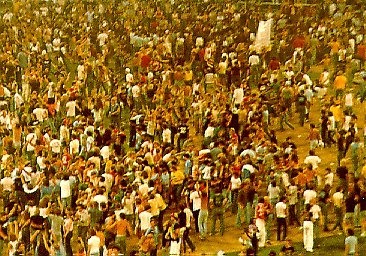 Reportedly, close to 60,000 fans showed up, most of whom only paid 98-cents per ticket in honor of The Loop's 97.9 spot on the FM Radio Dial. (At the time, the Sox were lucky to draw six or seven thousand fans out to the ball park ... but early word-of-mouth speculated that as many as 15,000 - 20,000 might show up for this crazy promotion, indicating this wacky stunt was a rousing success.) That moment of patting themselves on the back was short-lived however! Sox park filled to capacity with at least another 15,000 - 20,000 fans out in the street, unable to get in to the now sold-out spectacle. To say that things got a little out of hand would be a TREMENDOUS under-statement! Thousands of fans stormed the playing field and tore the place up, rendering the field unplayable ... the second game of the double-header had to be cancelled after some sense of order was restored ... and the Sox ultimately ended up forfeiting the game ... earning yet another famous black-mark in Major League Baseball History! Believe it or not, all of this happened 35 years ago this weekend!!! I remember one particular evening when John Records Landecker was playing the most-requested songs of the day and Dahl's record was SUPPOSED to top the chart ... instead of PLAYING the record on the air, he simply BLEW UP the record on the air ... again, a very fitting tribute to one of Chicagoland's most popular DJs ever. My God, did "Disco Demolition" really take place 35 years and five Presidents ago? Were we "so much older then we're younger then that now?" No dice. Father Time doesn't take prisoners. The fact is, Dahl gave Bill Veeck, baseball's answer to P.T. Barnum, exactly what he wanted - a full house. Now, much like Woodstock, think about this ... 85 percent of the people in the ballpark had to be kids under the age of 25. Just imagine if you would have had "Dean Martin" night with adults 40 and over. They would have been so damn drunk, so unruly, that the right field foul pole might have ended up on the Dan Ryan. The whole scenario in pro wrestling terminology, "Put Dahl over." It gave him elevated celebrity status that has lasted nearly four decades. I was at the ballpark for the "Fireworks" and really never felt I was in harm's way. There may have been a few fights, but really this was just a bunch of kids telling middle America that Pink Floyd and Yes mattered, while disco was musical death. I've always wondered ... did the Stever really hate the throbbing bass and club sound of Disco or did he just see a glorious, one shot opportunity to heighten the brand of "Steve Dahl." Frankly, I love the guy. We worked together at the Loop from '87 to '94. Steve Dahl was and is a radio genius. I, like many, was a Loop listener and was following Steve Dahl and his radio show. This was the first talk / comedy radio show I had ever heard ... and I had never heard anything like it before. Dahl was rebellious and funny and they played good rock music when he wasn't on. I remember the promotion going on at the Loop and thinking it was funny but I had no intention of going until that day. A friend of mine (Stacy Levine), a very cool chick who knew a lot of people who got tickets to rock concerts, called me up last minute and asked me to go with her. She had first row seats next to the dugout right on the wall closer to the home plate side. All her other friends didn't want to go and I think I was one of her last resorts, which was good for me because I was more of a baseball fan and I wanted to go to Comiskey Park, as it would be my first time there. We were in a crowd of mostly Sox fans, but I could see the big crowd from my seat as we were walking in. The first game went on as planned ... I couldn't even tell you anything about the game but I do remember some of what happened after the fist game was over. First they started moving this crate onto the field and we could also see some kind of fireworks set up next to it. Then a bunch of people came out on the field with Dahl wearing a army helmet with camouflage on it telling us he's going to "Blow Up The Disco Records real good!" Then the explosion. Now I've watched this on tape as a close up and I know the people in the right field bleachers thought it was a big explosion but Comiskey was a big park and all the way over where I was sitting it looked about like about a 15 or 20 foot blast and it went on for a little bit and then it was over. There was a lull in the action for a second and then Dahl goes around the park and was gone. I felt like, Is that all? Kind of anticlimactic ... shouldn't there be more of a celebration? Apparently I wasn't alone in that thinking ... all of a sudden people came over the left field wall and started sliding into second base and then more started coming on to the field and then more and more. It wasn't but a few seconds and Stacy was over the wall and gone and the Sox fans we were sitting next to were pissed off. The guy had a souvenir bat and he was hitting people over the wall with it and screaming at them to get off the field, but soon enough it was a free for all. I wouldn't leave my seat ... I'm just not that crazy and I like baseball. I watched people tear out the bases, ripping up the sod. One guy had a big piece of sod on like a poncho and he was running around the bases. Then Stacy shows up out of nowhere and is standing on the baseline yelling for me to come in and I yell back, "No way ... you come out", and then she ran into the crowds and was gone again. Then they started ripping up home plate. I can't remember if they got it but that was when Bill Veeck and four of his body guards came out and took over home plate. I saw for the first time that he had a peg leg and he was hobbling around home plate with what looked like a cop and some big guys from the ball club and they took over home plate and were going to hold that ground. Then he got a microphone, and in the midst of a complete riot, he tried to get everyone off the field ... but the outfield was on fire with disco records, an upper deck balcony was on fire, and the sod was ripped up in places. Then the cops and horses started coming, clearing the field and moving everyone off. Stacy finally came back to her seat and we even waited a little to see if they would play baseball again. I don't remember much more ... it was 1979 and all of this was quite unexpected, to say the least. I never got to go to any more concerts with Stacy even though we were still friends for many years afterwards. I will never forget the day she called me and asked me to go my first Sox game! 35 years later, Steve Dahl is still broadcasting here in Chicago ... although these days it's via a by-subscription-only podcast that airs several times a week. (I imagine the days of big-bucks broadcasting are now long behind him ... although at least this way he's in control of any money that does come his way via paid subscriptions.) The real "positive" in all of this is that he now seems to be doing it simply for the love of broadcasting. (Then again he always DID love the sound of his own voice!!! lol) Dahl is ... and will forever be ... a part of Chicagoland history and folklore. I got an email from a listener who told me that he does not like it when I mention how many years ago a song came out. He says that it makes him feel old and he then turns off the radio. I have always thought that saying the year a song came out brings back even more memories of high school, college, girl friends, parties, weddings, etc. Another dj told me some years ago that he was not allowed to mention a song's year of release at his station because a 'consultant' had advised his station to never do that. The expert mentioned the fact that it made people feel old and younger listeners would be turned off because of how long ago it actually was. I don't agree with this, however, I thought perhaps you could ask your readers sometime and see how they feel. I've run into this more and more lately ... and the general consensus seems to be that listeners don't want to be reminded about how old they are ... and putting a time stamp on this music may turn younger listeners off because of how "ancient" and "dated" it is. Even Rewound Radio uses the slogan "It's not how OLD it is ... it's how GOOD it is" as part of their regular campaign. Then again, stations like The True Oldies Channel and Real Oldies have worn the banner proudly on their chests, exclaiming EXACTLY what they are. (And let's face it ... we ARE old!!! 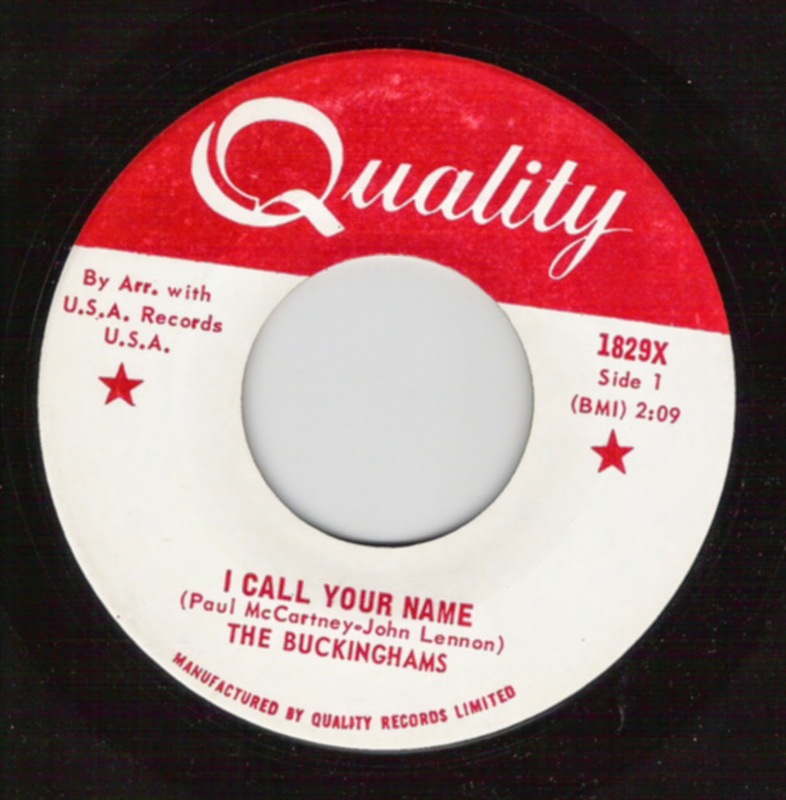 lol) By the same token, if you're going to shell out big bucks for satellite radio so you can listen to something like "The '60's on 6", you pretty much know what you're looking for ... and what you're going to get ... because they've done their own unique "branding" of this music! But honestly I think "oldies music" has become more of a genre than an implication of a particular age ... sure, you're only going to hear music of a certain era ... but it's a "feel good" period in music when competition and creativity were at an all time high ... and all of this is reflected in the wide variety of sounds that captivated all of us then and helped to broaden our horizons as to just how much great music was really out there in this creative and rapidly evolving time. Kids today discover how great this music is and can't help but be taken in by it ... but they're no dummies ... I've had 11 and 12 year olds tell me that they LOVE this music ... but then ask "why do they have to play the SAME songs all the time???" It's a valid point ... with literally over 10,000 songs to choose from, why are we all being force fed the same 200-300? Certainly there's a much wider scope to "oldies music" than these select few examples. Hopefully, some of these kids will take the initiative to dig a little deeper and discover more of this music on their own ... because odds are traditional radio has NO intention of leading them down that path ... not the way it's currently set up anyway ... where you can travel to ANY town in America and hear the exact same music you left behind at home. A couple of years ago we ran a very successful series called "What Is An Oldie?" ... but even our team of experts couldn't seem to narrow it down to anything specific. (Were oldies the music before The British Invasion hit our shores? 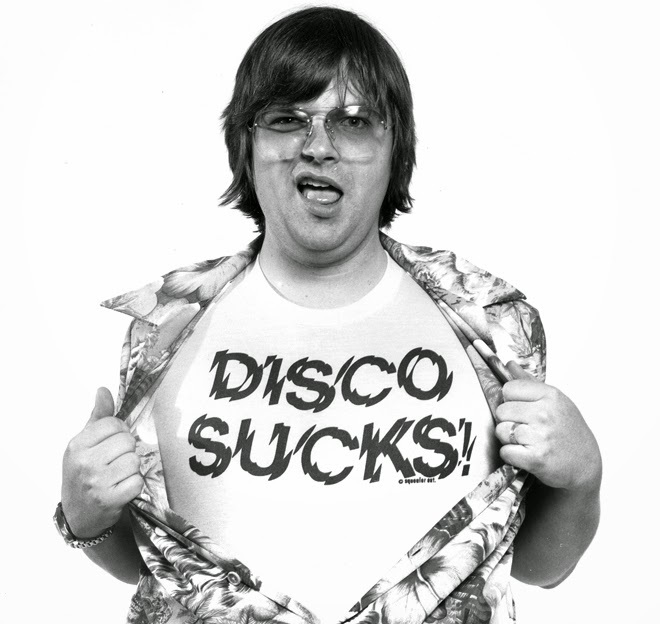 Should anything before disco be considered an oldie? Or is it more of a Rock And Roll Hall Of Fame philosophy that anything more than 25 years old should be considered an "oldie" ... which now takes us to 1990???) We certainly hear more 1980's music than ever on these so-called "classic hits" stations ... and rarely do we hear anything released before 1964 (and usually then only if it's something by The Beatles or The Rolling Stones!) For the most part "the greatest hits of all-time" seem to have all happened between 1969 and 1989 ... at least in the radio consultants' and programmers' minds. A few years ago Scott Shannon told me that he would never play Bon Jovi on The True Oldies Channel ... but I'll bet that day is sooner than he thinks ... if he hasn't started doing it already! What say you? Drop us a line if you've got an opinion on this topic and we'll run some of your responses next week in Forgotten Hits. 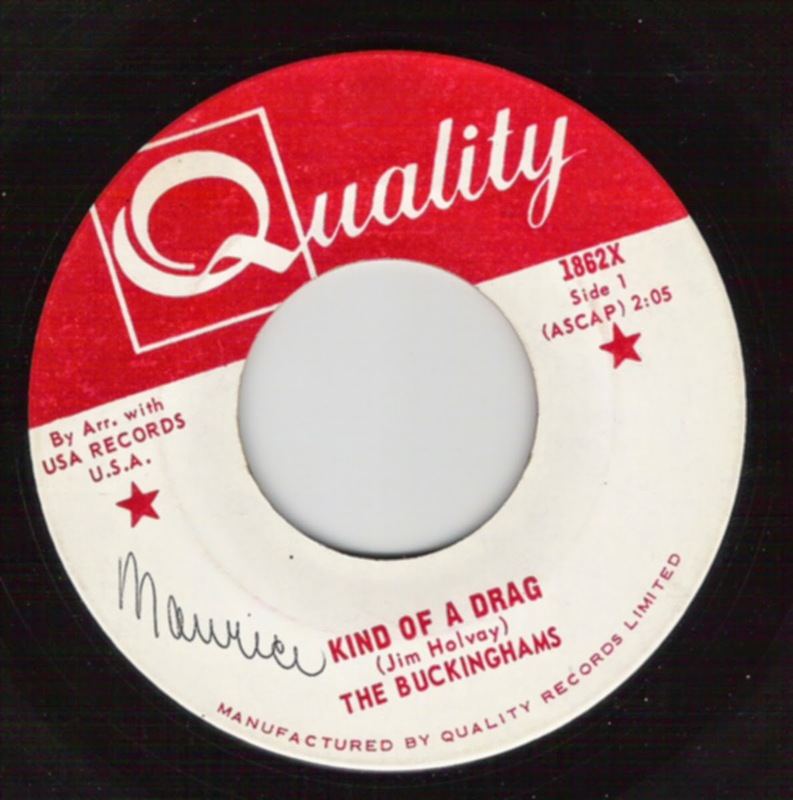 As mentioned the other day, Clark Besch flooded us with a wave of cool Buckinghams stuff this past week ... so we're going to run a little bit more of it today ... along with some of your comments regarding The Mob, The Ides of March and several of the other lesser-known groups that helped to shape the sound of our city in the '60's and '70's! Thanks for getting Carl to clarify about the early USA releases! Great Answer! 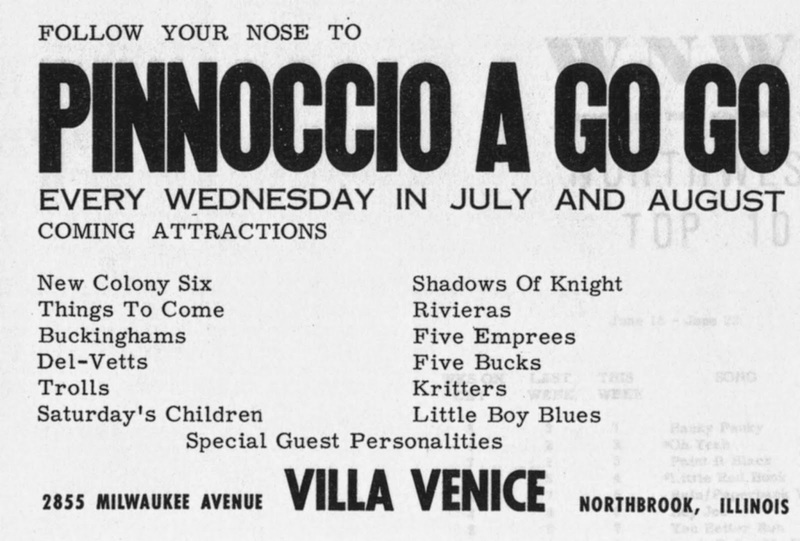 Colossus Records had a lot of hit records in a very short window of time in 1969 - 1971. The distributor that I worked for at that time (Best / Gold in Buffalo, NY) was the Colossus distributor at that time, and they had Venus and Mighty Joe by the Shocking Blue, Ma Belle Amie and If You Do Believe in Love by the Tee Set, Little Green Bag by George Baker group. The label was a classic example of having a bunch of big hits, releasing a lot of records and running out of money. I remember the record by the Mob - great record but never got the airplay it deserved In light of when it was released, properly promoted (you can read into that any way you wish) it would have been a substantial hit ... and it DID have that 'Chicago Sound! Nobody should be left out ... and for sure we were attempting just the opposite. I believe in the "Know Thyself" motto. So who better to bring me feedback, but people who lived it. ALL the people who lived it. I am so excited that this discussion grew to include as many comments as it has. If you are talking about Chicago area bands how can you not mention “Oscar and the Majestics”. They are still playing and still have the original four members from the 60’s. Check them out on Facebook and check out their website and on Sundazed records. 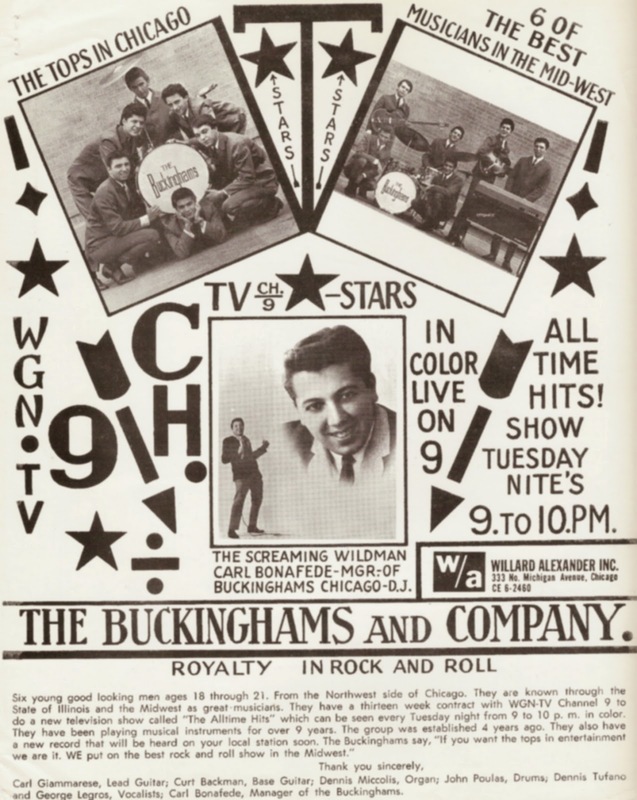 I may have been in error about The Buckinghams' "Time and Charges" album being the inspiration of the formation of Chicago. I do know the guys were fans of the album. I read somewhere that it WAS a major influence, though. This is from the liner notes from the double CD set, "The Best of Blood, Sweat, & Tears: What Goes Up", written by Al Quagliari: "An Idea Coalesces - (Steve) Katz and friend, Bobby Columby, a jazz drummer, are listening to the Buckinghams' 'Time and Charges' LP, and saying, 'Jeez, I wish we could do that kind of thing.' That specific 'kind of thing' is a pop group attached to the ambitious horn and string arrangements of producer James Guercio." It's still cool that all three bands are linked together in this way; two from the windy city and one from the big apple. Here's the cut that Guercio took the psychedelic effects from for Susan -- it comes from a Columbia classical album I have. And, of course, Clark had THESE, too! Photos AND Audio! Read on! Here are some pictures for you from my collection. 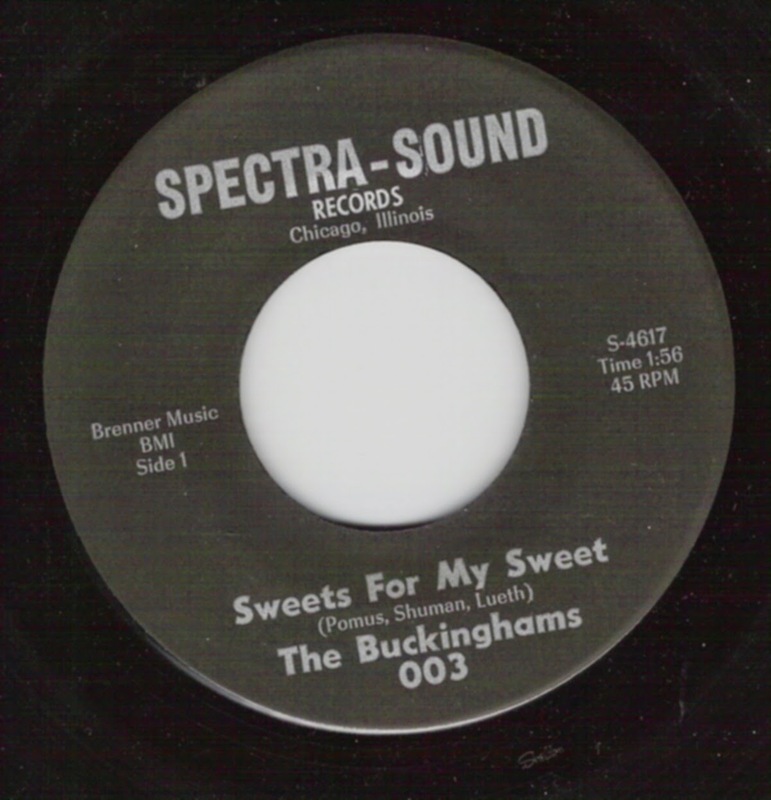 The Buckinghams' first single on Spectra Sound, Canadian 45s (some interesting writing credits), as well as The Centuries tracks. Note that the Centuries "Yeh; It's Alright" is a Saturday's Children-penned song that was later reincarnated by the Cryan' Shames for their "Synthesis" album as "It's All Right" after Saturday's Children had folded and their guitarist, Dave Carter had joined the Shames. As Carl said, these were early tracks and if you listen to them, you'll find the true meaning of "garage band." From the first guitar chord of "Yeh It's Alright" to the awkward vocals and distortion of the recording, it's a true feel of what a garage bad was in 1965.
either. I kept waiting for their songs to show up on the radio, but apart from a couple of spins of "I Dig Everything About You" there wasn't even crickets. That was a helluva shame. I've cornered both of their 45s since then. Fine stuff. Like the Mob, they should have done much better than they actually did. Unfortunately, I'm the wrong one to provide much in the way of info on these guys ... I just wasn't aware of them at the time. Another group that earned quite a few mentions (along with a whole lot of credit with inspiring some of our local talent) was Saturday's Children ... so hopefully someone can provide some more information on these two acts. Here, for the first time, Peterik shares the stories behind his iconic songs — from touring with Led Zeppelin and Janis Joplin on the heels of the Ides of March number one classic “Vehicle” to his Grammy-winning, triple platinum “Eye of the Tiger” with Survivor and beyond. He explores the often torturous power struggles within the band contrasted by the giddy highs that accompany a trail of worldwide hits. Peterik has also co-written songs with some of the most famous bands and artists in rock-and-roll, including .38 Special (Rockin’ Into the Night, Caught Up In You, Hold On Loosely), Sammy Hagar (Heavy Metal), Brian Wilson, The Doobie Brothers, REO Speedwagon, Cheap Trick, the platinum comeback of The Beach Boys (That’s Why God Made the Radio), and many more.Through the Eye of the Tiger is more than just a memoir of a songwriting legend; it’s a classic rock-and-roll story, told through the eyes of someone who has lived through it all- and through the Eye Of The Tiger. Glad to hear there is a date for the book now. I've read it and it is fascinating stuff and I helped with it some. A great companion piece to all the Ides / Survivor / .38 Special stuff out there already. Lots of ups and downs in a great career that has Jim on the go daily in many directions -- and loving it! They are still opening up new websites and such yearly with new info. With our release of well-received titles by Blood, Sweat & Tears and Tower of Power, we at Real Gone have become something of a home for the great horn bands of the late '60s and early 70s, and with our reissue of The Ides of March's classic Vehicle album on the 50th anniversary of the band's founding, we are bringing another one into the fold. The Ides began in a basement in the Chicago suburb of Berwyn on October 16th, 1964, and have stayed together ever since; only the Rolling Stones really rival them for longevity. And this album, Vehicle, was their commercial high-water mark; its title track went to #2 and the album to #55 on the 1970 charts. It's a happy collision (no pun intended) of the band s garage-y British pop influences and the more progressive sounds of Chicago and BS&T that were sweeping through FM radio at the time; our Expanded Edition features four single bonus tracks and notes by Richie Unterberger featuring quotes from the band's Jim Peterik and Larry Millas. Highly recommended! Why don't they include the original version of Vehicle for once before they added the extra answer "Love you (LOVE YOU), I Need You (NEED YOU" etc.?? Then, it would be worth it! 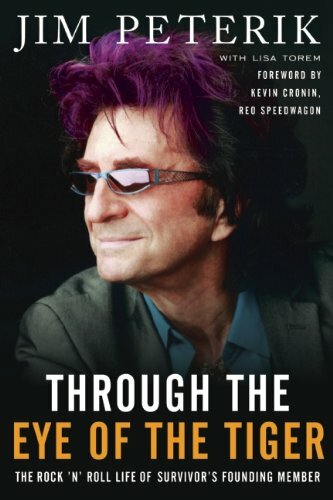 As you will read in Jim Peterik's upcoming autobiography, the "answers" were suggested by WLS' Art Roberts to make it a hit. This above stuff has all been on Rhino's Ides double CD already.